It was recently revealed that Simon Kinberg was in talks with 20th Century Fox to write and direct the next X-Men movie, rumored to be titled X-Men: Supernova. Today ComingSoon.net had the chance to sit down for an exclusive chat with Kinberg about him possibly taking the director’s seat, as well as what he felt went wrong on X-Men: Apocalypse. Simon Kinberg: They didn’t announce it, somebody broke a story about it that’s premature, but we have been talking about what the next X-Men movie would be since post-production on the last X-Men movie. We are prepping the film, can’t say much more than that, but we’re excited to get back into telling the story of the mainland X-Men. CS: If you did, hypothetically, get to direct for the first time, you’ve produced a lot of stuff and you certainly know your way around a set. How would you describe the directorial style you would bring to the movie? Kinberg: I’ve had the good fortune of working with a lot of good directors, from Bryan Singer to Ridley Scott to Sir Kenneth Branagh, and I’ve also had the opportunity to work with directors that aren’t as good and I learned a lot of lessons from those directors as well. I really like my job, I really like writing and producing movies. If that was my job for the rest of my life I’d be a very lucky man. My directorial style would probably be very similar to my writing and producing style, which is very collaborative. CS: As far as the previous film, X-Men: Apocalypse, there seems to have been a split, in that the people who love the comic books really appreciated it and the people who are fans of the more grounded movies thought it went a little too far in the comic book direction. What lessons did you learn from Apocalypse? Kinberg: As the writer of it, I thought when we started the movie and when I wrote the movie that we were telling the story of a family splitting apart and coming back together. In the final movie its in there, but it’s a little buried, and the movie on the surface became about a guy who wanted to destroy the world. The guy that wanted to destroy the world is a superhero movie from 25, 30 years ago. Today’s superhero movies that we love the most –the “Dark Knight” movies, “Guardians of the Galaxy,” the first “Iron Man” movie, those are movies about human beings in relatable circumstances that happen to have super powers. I think “Apocalypse” became more about global stakes than human stakes. That’s the lesson I learned from the movie, that human and personal stakes always trump global stakes. It’s something that Bryan did, if you go back to the first “X-Men” movie, what Magneto’s trying to do is something global in scale, but ultimately it’s about saving Rogue. The movie is about Wolverine and Rogue, a guy who doesn’t want to be connected to anybody and a girl who’s lost. They find each other, and in finding each other they find each other with the X-Men. It was a brilliant way of telling that story. I think with “Apocalypse” we got away from that a little bit. Maybe we all got a little enamored in the possibility of seeing the world get destroyed and do some things in terms of scale and scope that we haven’t done in the X-Men movies. Scale and scope don’t matter. Audiences today know it’s fake, they’ve seen the world blow up a million times in video games and movies. Kinberg has been involved with the X-Men franchise as a writer and producer since 2006’s X-Men: The Last Stand. If he takes the director’s chair on the next X-Men movie, it will mark his feature film directorial debut. 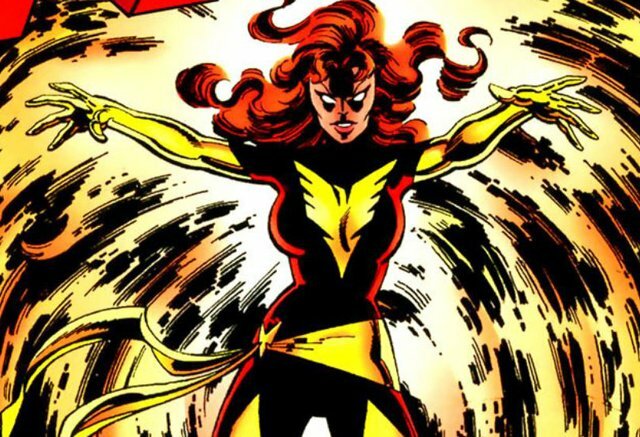 The rumor is that Supernova will take on the comics’ iconic “Dark Phoenix Saga” wherein Jean Grey, following exposure to radiation, begins to manifest immense cosmic power, ultimately transforming her into a powerful foe. An abbreviated take on the Dark Phoenix was depicted on the big screen in The Last Stand.